The 3M Aqua-Pure AP-DW85 drinking water replacement water filter cartridge reduces dirt, rust, chlorine taste and odor, bad taste, odor, chemicals, lead & cysts from your water. The 3M Aqua-Pure AP-DW85 is a point-of-use water filter for 3M Aqua-Pure drinking water systems. A separate faucet is required. 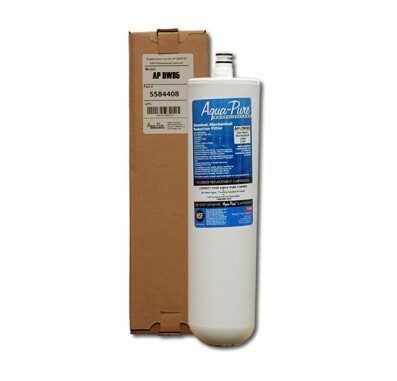 The 3M Aqua-Pure AP-DW85 water filter cartridge utilizes a multi-composite filtration cartridge which is the most effective filtration media for reducing common but potentially harmful impurities. During the filtration process, water slowly permeates through a 0.5 micron multi-composite carbon media filter. The intricate matrix provides clean, great tasting water by effectively removing lead, chlorine, cysts, bad taste and odor.